My starting point is to argue that we first need to understand what is driving inequality. At the top end, it is clearly about the rise of finance, but in a recent pamphlet co-authoured with Adam Lent, I lay out the case that in much of the economy it is innovation that is the main mechanism. Innovation does drive growth – there is now compelling evidence that what drives increased productivity and growth in living standards is not investment per se, or the development of this or that particular sector, but the process of innovation – not only technological but also managerial and institutional. Indeed the enormous creative dynamism of capitalist market economies, and the huge growth that innovation has unleashed in the last 300 years, is the single most striking thing about capitalism. By contrast, much recent debate – both about the causes of the crisis and the right response to it – is still framed by the long 20th century struggle between market fundamentalism and those, including Keynesians, who reject the idea that markets are fundamentally stable and self-correcting if left to themselves and argue for a crucial role for the state to intervene to put that failure right. This debate is important, espeically in the conetx of recovery from crisi or recession. But the reality is that neither free markets nor Keynesian demand management are in themselves guarantors of long term growth, As the growing sub-discipline of evolutionary economics emphasises, what is important about real economies is not their static allocative efficiency, but their dynamic potential. But there is also a dark side to innovation. 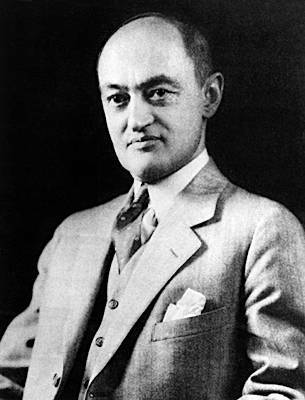 Schumpeter characterised it as “creative destruction”, and there are always winners and losers in the process. One effect is literally the destruction of jobs and obsolescence of investment as a result of technological change, most obviously in the period of deindustrialisation which followed the election of Thatcher at the end of the 1970s, but which has continued since. In 1978, a quarter of the workforce was employed in manufacturing, which is down to 8% since, despite the fact that the value of production has doubled. These changes are largely due to technical change. The losers are not only factory workers, but all workers whose work is routine, and including clerical workers, and now, for example, supermarket checkout staff. The hollowing out of employment and stagnation of wages in medium skilled but routine work has resulted in the “squeezed middle” phenomenon which so many politicians have picked up on. By contrast, skilled workers whose productivity is boosted by IT (including in finance) have seen their relative wages soar since the 1970s. The old left response to these forces was to resist them, but this approach was first broken by Thatcher and then abandoned by New Labour, which sought instead to compensate losers through redistribution from tax. Resisting innovation does not make sense, for it will suppress growth and the benefits of higher productivity. But the strategy of redistribution also comes up against limits, both political and economic. We argue that instead we should be seeking to radically expand participation in innovation, to spread the gains as widely as possible, and put much more serious effort into helping people move from old to new jobs throughout their lives. This is about rethinking not just skills and training but also the purpose of social security. Taking innovation seriously also means seeing how disruptive it can be to society, and ensuring that, while technologies may become obsolete and companies may fail, the same is not true of people. Finally, we also need to start to shape innovation more actively. Evolutionary economists argue that innovation in an economy is just like the evolutionary process in the natural world, where success is defined by how well species fit in to the environment. In the economic world, that environment is crucially shaped by policy. For example, up until recently, there has been no incentive to direct innovation to low carbon technologies, and as a result we live in a world where dirty energy and transport is very cheap. But we can and must radically change the policy environment for innovation, redirecting creativity and entrepreneurship towards making clean energy cheap. Like all things so complex, the answers are seem so bewilderingly simple – given the number of times that they have been in recorded history as far back in history of recorded humanity as the chapter of genesis! Or perhaps that may be the reason why the answers appear so bewilderingly simple as they have been perhaps so – in the long history of humanity trying to solve its problems. Or the genesis chapter may already have solved much in history! I am not religious, so please do not get me wrong here! The notion that technology by itself is neutral though the humans who invented it and/or use it may not be so – is an old hat. An airplane can bring people closer to one another, or to death and obliteration as does Alfred Noble’s invention – under controlled conditions. That what allows the choice by individuals and groups perhaps answers much, including why the answers may have always been so bewilderingly simple in recorded history dating as far back as the genesis chapter in the bible. Once again, I am not religious. Religion appears to be simple rendered complex by its histories. Perhaps just like the objectives of it and its histories. The differences, if any, perhaps may hold some answer though I do suppose that socialization may hold the key!